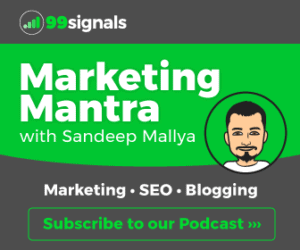 In late 2016, I decided to move my small, but highly-engaged email list of 1000 subscribers from my wellness blog, Soulful Arogya, from Mailchimp to a rapidly evolving email marketing software called ConvertKit. Here’s my in-depth review of ConvertKit. ConvertKit has won a lot of professional bloggers over, including the likes of Pat Flynn from Smart Passive Income, Abby from Just a Girl and her Blog, among several others. Pat Flynn has even gone on record to say that ConvertKit is better than Infusionsoft, a premier service which he had been using for several years. In fact, I suggest you give a Google search for terms “Why I Switched to ConvertKit” and you may be surprised to find a few of your favorite bloggers having switched sides from older, more well-established players in the market to a relatively new ConvertKit. So what makes ConvertKit so special that has so many popular bloggers and podcasters raving about it? Read this review to find out! With a tagline like “Email Marketing for Professional Bloggers”, I knew it was only a matter of time before I gave this relatively new, yet popular email marketing software a try. And here’s my verdict – it’s pretty damn good! While ConvertKit is slightly more expensive compared to two of my other favorite email marketing tools, Mailchimp and SendinBlue, it adds a few interesting elements to fundamental things such as list management and email automation by giving users advanced segmentation and automation options. Continue reading to learn what’s so different about these features and what really sets ConvertKit apart from other ESPs in the market. In this ConvertKit review, we’ll evaluate the tool on these factors – pricing, ease of use, features, customer support, and overall sentiment around the product. ConvertKit’s plans are list-based, meaning you’ll pay depending on the size of your email list. The basic email plan with 1000 subscribers starts from $29/month. For a long time, ConvertKit wasn’t offering a free trial to new consumers. Instead, the company used to offer 1-month free for new subscribers who paid for one of their plans. This changed in 2018 when the company started offering 14-day trials to new subscribers. It’s a good move as it allows new users to explore ConvertKit’s key features before investing in the software. If you have more subscribers, you can calculate the price on their pricing page. 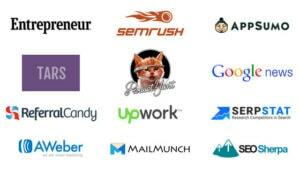 ConvertKit claims that their email marketing service is “built for bloggers”. And they are not kidding! As soon as you log into your ConvertKit account, you’ll notice that some of its features are streamlined for bloggers who are serious about growing their email lists. The tool offers amazing control over sign-up forms, making it easy to collect information from subscribers. The form editor is easy to use, allowing you to create professionally designed opt-in forms in minutes. You can then email your subscribers via broadcasts and sequences (automated emails). More on these features later! The interface is clean, well-designed, and easy to navigate. Having said that, there is a leaning curve involved here if you’re migrating from other ESPs, but ConvertKit makes this journey fun and interesting because of the customization options they offer. When it comes to creating your email campaigns, ConvertKit is focused less on design and more on content. In other words, you don’t have options to create beautiful email templates to dazzle your subscribers, making you rely more on the substance of your content. 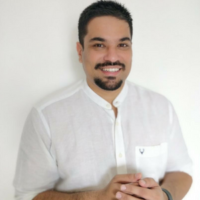 This is a conscious decision taken by the ConvertKit team, keeping their target audience of bloggers in mind who are more inclined towards reading and prose. With ConvertKit, you won’t be able to send emails with beautiful template design, but you’ll have to rely more on simpler, text-based emails. This is what it all comes down to – features. Bloggers are obsessed with features and since ConvertKit charges a premium even for their basic plan, you must be wondering if the features are really worth investing such a huge sum month on month? Read on! 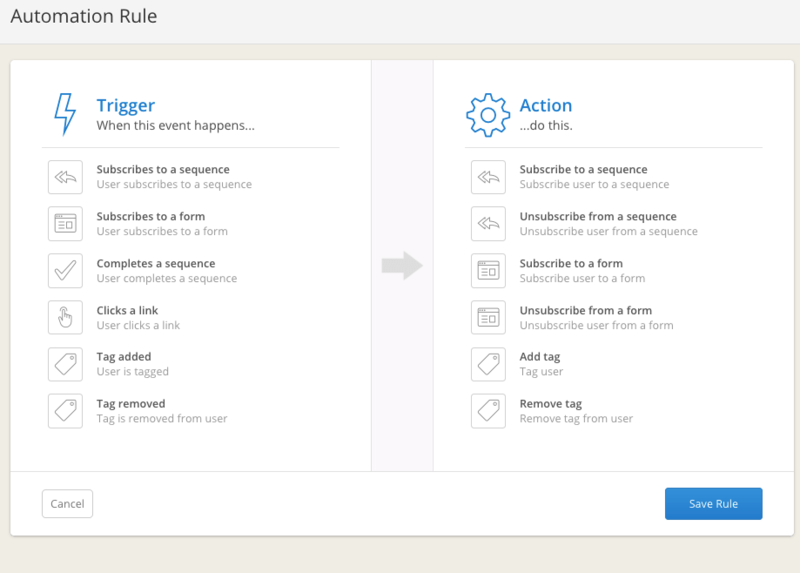 Opt-in Forms: ConvertKit gives you a lot of control over opt-in forms and they are pretty easy to customize, allowing you to fine-tune them as you wish. The opt-in forms won’t win any design contests and can’t be compared with the ones provided by OptinMonster. Having said that, the sign-up forms are professionally designed and the form editor is easy to use. Landing Page: ConvertKit provides 3 landing page templates to design a custom page. These are great if you are providing a free eBook, webinar or course to grow your email list. ConvertKit landing pages can be created quickly and easily, but there very few customization options available. Once again, the landing pages designed via ConvertKit can’t be compared with standalone landing page services like InstaPage and Unbounce, but they’ll do the job if you need to do a quick promotion of a webinar or podcast to add hundreds of subscribers to your email list. Broadcasts and Sequences: ConvertKit allows you to send emails as one-time broadcasts, but the real USP of ConvertKit lies in its sequences. The tool will guide you through a number of different email types and develop chains of emails that will be sent to subscribers who are tagged to receive them. This is all made possible with the help of automation. Tags: This is a game changer that is usually only reserved for insanely expensive and complicated email solutions like Infusionsoft. ConvertKit allows you to organize your subscribers not just around forms, but with various tags without ever worrying about paying for the same subscriber twice. Analytics and Reporting: Email analytics is pretty basic on ConvertKit and pales in comparison to the ones offered by rivals such as AWeber and GetResponse. You get to view basic analytics options (open rate, click rate, unsubscribes, etc.) for your email broadcasts and sequences. Furthermore, you are allowed to resend your emails to people who haven’t opened your email from the dashboard itself with a feature called “resend to opens”. You can send a separate email to these people making changes to the subject line and content to see if they react differently to your email the second time. ConvertKit Integrations: ConvertKit integrates smoothly with 35+ services which include WordPress, Shopify, LeadPages, OptinMonster, Webinar Jam, Zapier, and WooCommerce. Customer service is often not thought of much during the time of purchase, but it’s something that can make or break a software provider’s reputation. It’s a hygiene factor which simply cannot be ignored by top companies. The customer support provided by ConvertKit is pretty decent. They take longer time to respond to emails compared to other ESPs, but do a fairly good job resolving issues. Customer support is available via email, online knowledge base, social media (active on Facebook and Twitter). As ConvertKit is relatively new when compared to other email marketing services like Mailchimp and AWeber, they have fewer online ratings and reviews on review aggregator sites such as G2Crowd and Capterra. Existing reviews, however limited, are overwhelmingly positive. A few testimonials can be found on the ConvertKit’s website in the Customer Stories section where several bloggers have recommended their services with their own ConvertKit reviews on their blogs. So it’s safe to say ConvertKit is quickly gaining a good reputation among marketers. Compared to other email marketing tools out there, ConvertKit does a few fundamental things such as list management and automation a little differently. It spices things up by giving advanced segmentation and automation options to users. But is it worth switching to ConvertKit from your existing ESP? That depends on your requirement. If you’re a professional blogger who’s tired of using the same email service and if you don’t mind experimenting with a new email marketing software, then go for it. You’ll not be disappointed. It’s a tool that will give you the power to do more from your email list while keeping the human element in email intact. On the other hand, if you’re a small business owner who prioritizes analytics and reporting over email automation, then try Mailchimp or AWeber. Also, if you’re not a content-driven business, it doesn’t make much sense for you to try ConvertKit. All things considered, ConvertKit is doing a great job improving upon features we thought didn’t need any improvement. As a result, it’s definitely worth investing some time on the tool. 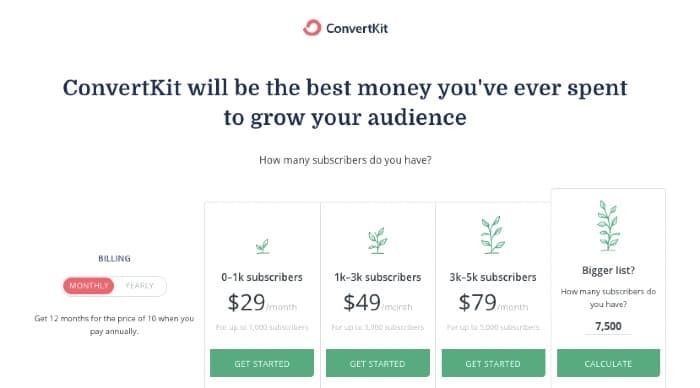 Final thoughts on ConvertKit: A few days ago, I tuned into Pat Flynn’s podcast where he interviewed ConvertKit’s Founder & CEO, Nathan Barry who revealed that the company is experiencing a monthly growth of 45%. This is phenomenal for a company which is taking on established veterans such as Mailchimp and AWeber in the email marketing space. The company is also transparent about their earnings, much like Buffer and I see this as the sign of a company that is trustworthy and reliable. It’s safe to assume that when you eventually do decide to give their services a try, you can be assured you are in safe hands. This is a company which is serious about email marketing and in my opinion, we have only got a glimpse of what their product is actually capable of. Hope you enjoyed this ConvertKit review. Check out more product reviews here. ConvertKit adds an interesting element to basic, yet essential features such as automation and list management. If you're a professional blogger who's tired of using the same email service and if you don't mind experimenting with a new email marketing software, then go for it. You'll not be disappointed. Thanks for the review! Really appreciate you taking the time to review ConvertKit. Just a quick note, on pricing we have lots of plans between 200k and 500k subscribers, it was just too many steps to add to the pricing slider. Basically it goes up at those levels at a rate of $60 per 100,000 subscribers. Thanks, Maurice. Glad you found the review useful.